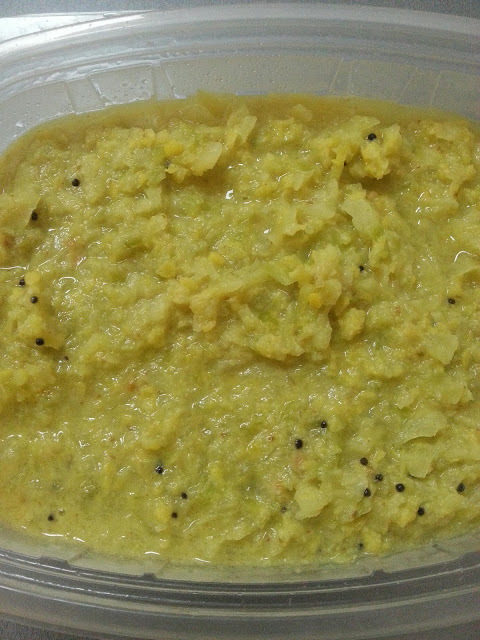 Add 1/2 cup of water with turmeric powder and moong dal and cool till soft. Chop cabbage finely and add to the boiling dal and cook till the cabbage is done. Meanwhile grind the ingredients in to grind section to a fine paste. 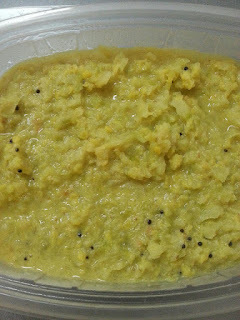 Once the cabbage dal mixture is done add the ground coconut mixture to it and bring to boil. Temper with the mentioned Ingre.